This post is designed for Mobile users wishing to click on the Police Twitter Awards. 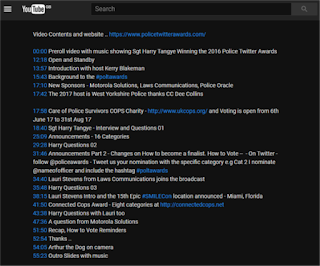 Timestamps to skip to a particular part of the live broadcast made on 6 June 2017 at 7pm. how these contents look on youtube.. 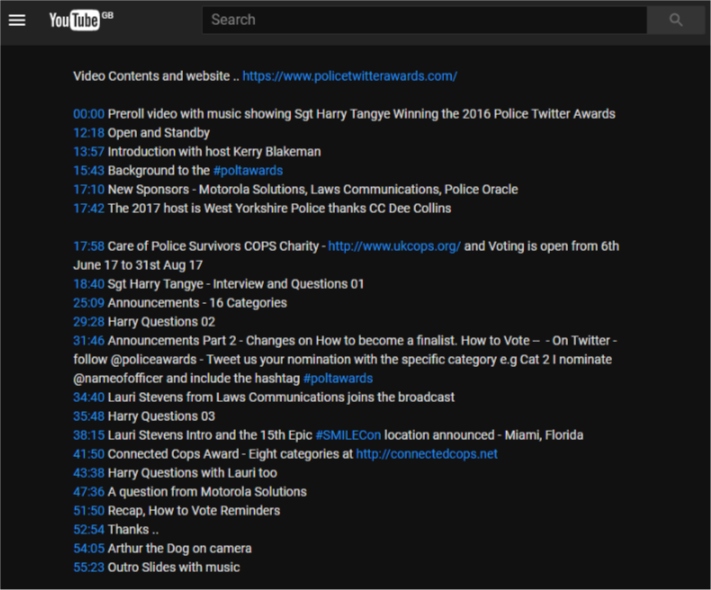 This was the Police Twitter Awards Live Interview with 2016 Winner Sgt Harry Tangye hosted by CI Kerry Blakeman. 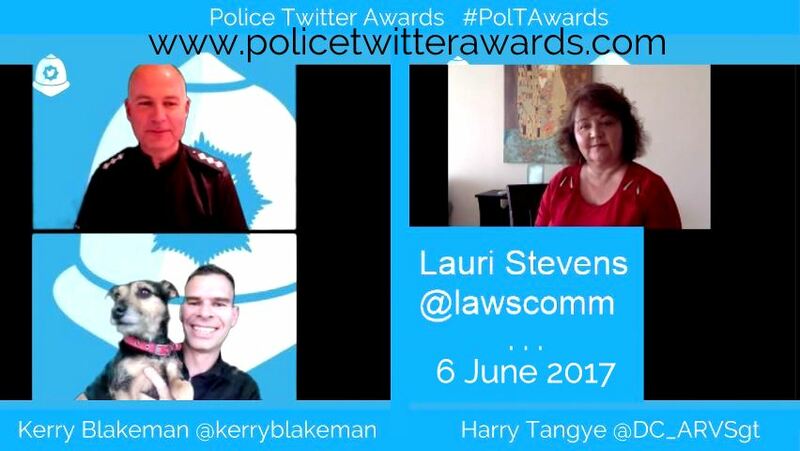 Questions were asked in advance using the hashtag #PolTAwards on twitter. Search Twitter for #PolTAwards sort by Latest tweets .. This video was produced by me Mike Downes using OBS Studio, Appear.in and streamed Live using YouTube. To find out how you can do this for free yourself, contact me Mike Downes.